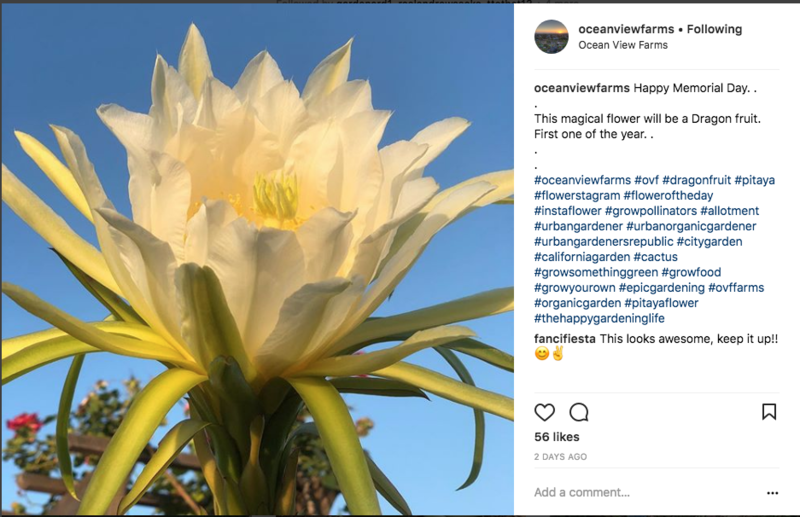 Featured Instagram Photo of the Month: A Dragon Fruit Flower Blooms. You can’t say we didn’t warn you about May’s gray skies in the last e-newsletter. Hopefully, you’ve headed our advice and avoided overhead watering. Tomato blight has started showing up around the garden – make sure to be extra vigilant removing affected leaves. Due to the prevalence of diseases, tomato leaves and plants should almost always be thrown away rather than composted. If you still have space, you should be planting as much as possible in the next week or so. We’ve got a greenhouse sale on June 2nd to help you along. In spite of the cooler and cloudy weather, your plants are probably loving the longer daylight hours. Suddenly, there are giant squash vines, corn stalks and bushy tomato plants all over the garden. The longer days give your plants their cue to grow! Walk around the garden and enjoy the spring flowers while they last. Roses and poppies are lovely this time of year and the sunflowers are already huge. In no time, the spring blooms will have faded and the dalias and zinnias will be putting on the next show. For those of you cutting flowers to take home, the OVF website has a nice page with tips on how to get the most life out of your cut blooms. As the weather heats up, powdery mildew will start to be a problem on squah plants and cucumbers and their relatives. Here are some home remedies for dealing with powdery mildew. It’s best to be proactive and start treatment as soon as you see the signs of the disease. Let us know what powdery mildew treatments have worked well for you and we will share them in the next e-newsletter. 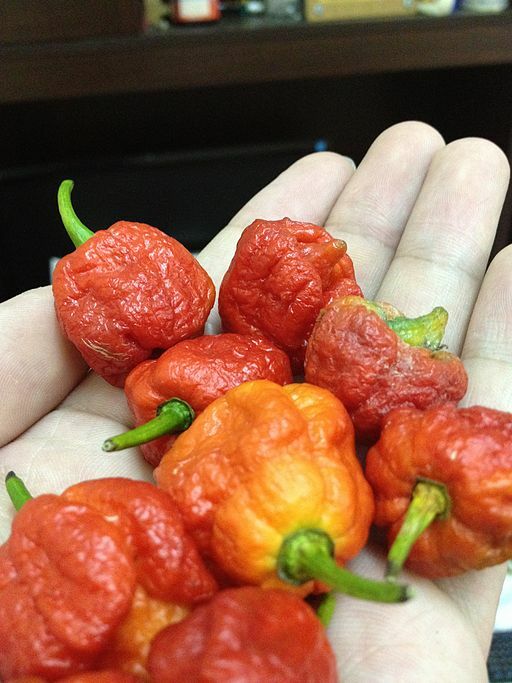 Lastly, here are your tips for the June garden from the Gardening in LA Blog. Soon all your hard work will hopefully be repaid. After June it should almost all be watering and harvesting until the fall. If you’ve still got a spot of dirt left in your plot, this greenhouse sale will be the place to be! 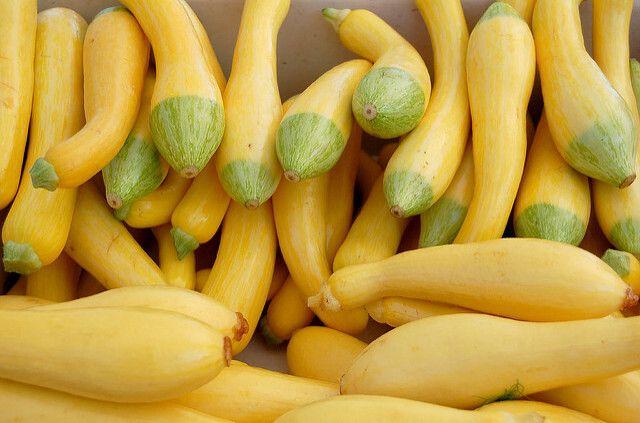 We’ve got cucumbers; basil varieties galore; beans; cantaloupe; eggplants of various colors, shapes and size; peppers hot and not; summer and winter squash; tomatoes; tomatillos and some of the prettiest zinnias you’ll see. Bring cash (small bills please) and head over the General Meeting area at noon on Saturday 6/2. The year is almost half over which means that you need to have completed half your community service hours by the end of the month. Thanks to everyone who has already completed their hours! You can check the status of your community service hours on the OVF page. Just a heads up the North Venice Little League end-of-season picnic is this Sunday, June 3rd from 11:00 AM until 3:00 PM. Don’t expect to find an empty space in the parking lot much later than 9:00 AM Sunday morning.